I’m the first to admit that I love seeing beautifully sculptured young bodies in fashion campaigns or thin bronzed models walking down the catwalk and I’m fascinated by the younger, newer generation of models that designers are pandering too because of their followers – hello Cara Delevingne and Kendall Jenner. 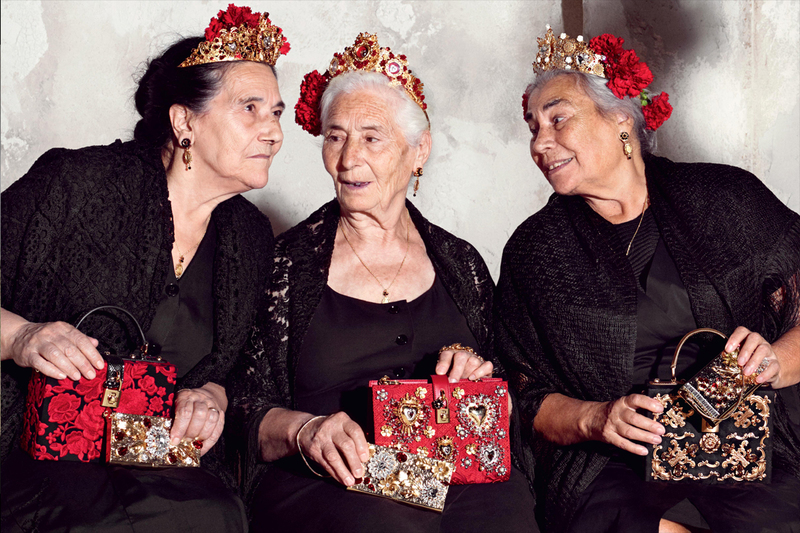 However saying this, I am enchanted by fashion houses and retailers using more mature women in campaigns. 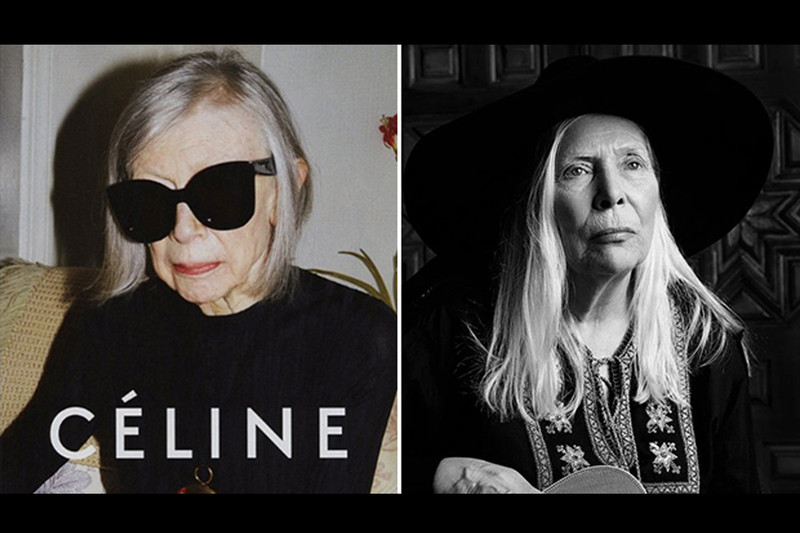 This season as all the new campaigns hit the shelves and sites we’re seeing style icon and literary legend Joan Didion for Celine, chic Italian grans holding Dolce &Gabbana purses and Singer and songwriter Joni Mitchell for Saint Laurent Paris – and it’s causing a lot of industry talk and discussion. This has been going on a for a few seasons already, a few years ago I wrote a column for Grazia on the uprise of older women in ad campaigns accelerated by successful blogs such as Advanced Style run by Ari Cohen. This disruptive advertising had been adopted by a few luxury brands such as Lanvin who used Jacquie “Tajah” Murdock, an 82-year-old former Apollo dancer in their 2012 fall ad campaign. 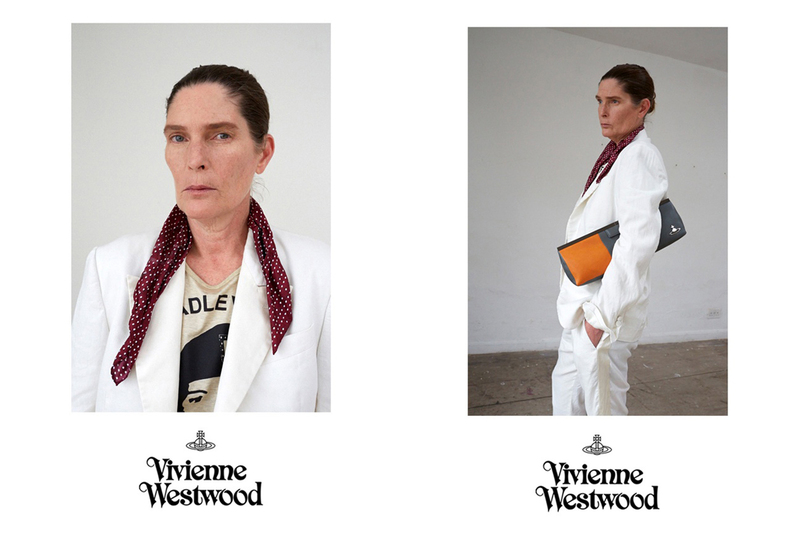 Vivienne Westwood showed Leslie Wiener, 60, in her SS14 campaign. 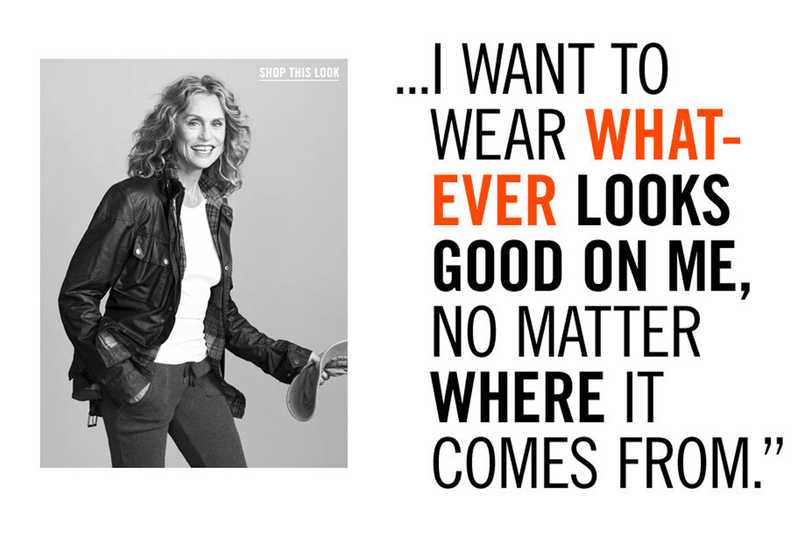 More mainstream retailers such as JCrew, featured Lauren Hutton in 2010. 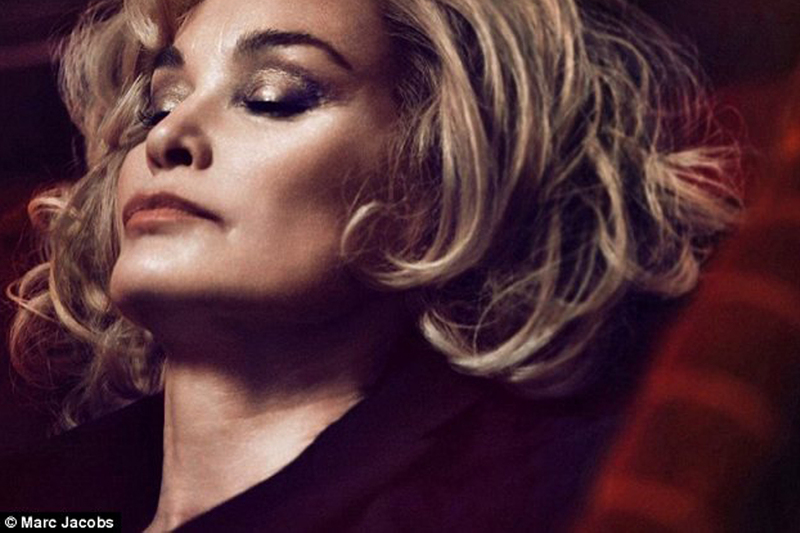 Last year 64-year-old American Horror Story actress Jessica Lange was the first ever celebrity face for Marc Jacobs beauty and Monsieur Jacobs also featured Catherine Deneuve,70, in his final campaign for Louis Vuitton’s campaign. And so, in walks the antithesis of this over-exposed phenomenon. The mature women, who has a story and lived a million real-life experiences that haven’t been posted for the world to see. There’s a mystery and subtley. These women have their own style that hasn’t been bought by 100 brands. They’ve been married, divorced, married again, had kids, travelled the world, met amazing people and had grandkids – they would make awesome dinner guests. When I see these women it makes me believe that style really does transcend age, that there is a real value in ageing gracefully. Of course there is certainly the shock value, that brands want to stand out and be disruptive, a quest to shake up the industry. No doubt these brands are also sick of having a handful of models to choose from, perhaps they too can’t tell the difference anymore? Personally I don’t think it’ll be a mass-trend that will last very long, for now these brands have got what they’ve wanted – everyone’s talking about the new Celine/Saint Laurent campaign and this season they do stand out from the others – so it’s clearly worked. But even as a disruptive trend, I feel like I can identify with these women. One day I will be her (I mean, not literally Joni mitchell) but I’ll be older, have grey hair and lines on my face that map the memories I’ve had – but I’ll never be Cara or Kendall. What do you think? Leave a comment I’d love to hear your thoughts. Well said and beautifully written, we oldies need some recognition and admiration!